Matti KyllÃ¶nen says that life has educated Kimi. The commentator legend remembers very well what kind of a baby-face sat behind Sauber's steering wheel in 2001.
â€“Kimi was immensely talented, but he was still searching for himself. He has walked a really long path. KyllÃ¶nen says that now RÃ¤ikkÃ¶nen seems to be completely okay with himself. The Iceman doesn't stress, not even over bigger things like possibly switching over to Red Bull. â€“His whole body language speaks of maturity. Kimi seems to possess a very strong self-esteem. He knows exactly what he wants. Even Kimi's F1-team -choices have gone into a more and more easy-going direction. Peter Sauber and Ron Dennis were uptight perfectionists. In Ferrari Kimi had more liberties, but the pressure around the F1-giant was huge. In Lotus the Iceman has been allowed to completely be himself. The team has turned RÃ¤ikkÃ¶nen's persona into their resource, which has lifted up the Finn's popularity in new heights. At the same time the team has got a raft of publicity. KyllÃ¶nen believes that the understanding from Lotus has also helped Kimi to grow. â€“They probably agreed upon the game rules before driving one kilometer. Now it has produced a huge crop to the team as well..
RÃ¤ikkÃ¶nen is also known for his straightforward attitude. Honesty is appreciated in the F1-world, where rumours and plotting are common. â€“Kimi has always been honest and even open in a specific way. He never talks bad about people behind their backs, KyllÃ¶nen tells. And even if RÃ¤ikkÃ¶nen often is silent on the paddock, he definitely talks loud on the track. â€“A completely different person sits behind the steering wheel. In the team radio Kimi can even go down on the team management if needed. He is an aggressive fighter, KyllÃ¶nen says. Special guest in Genk is Kimi Raikkonen, former Formula 1 World Champion (2007) and is currently third in the World Cup standings F1. That RÃ¤ikkÃ¶nen, last weekend almost won the German Grand Prix, slipping to 'Everts & Friends' does Stefan Everts glow with pride: "For the spectators it is a unique opportunity to meet Kimi in person. Moreover, the Finn - on a dirt bike - join our Cyclo MX Race and team up with a Belgian cyclo-cross rider. He will also join our hand drawing. This is truly unique and a first for our country. " In preparation for 'Everts & Friends' went RÃ¤ikkÃ¶nen, who owns the Ice One Racing MX Team in Finland training this week with our tenfold world champion. Kimi will race on a MX bike! I read the original article, and he will will be signing autographs at an autograph table. The MX bike race sounds much more interesting then driving around in the streets of Moscow. Kimi will be a busy boy next week. Heinz Kinigadner (KTM sporting director): "I'm invited to Finland by Kimi RÃ¤ikkÃ¶nen and we have to celebrate our debut." Q: "That sounds like a boozy party." Kini (laughs): "Well Kimi is known for drinking almost nothing. Precautionally I changed my return flight to Monday. Just to make sure." Wrangler launches Denim Performance, the new design platform for blue jeans. Kimi Raikkonen, Formula One champion, is ambassador for the FW13 collection. Launching in FW13, Denim Performance is Wranglerâ€™s new design platform for jeans and outerwear. Functional and future-focused, Denim Performance revitalizes the details, fabrics and finishes of jeans, shirts and jackets. The inspiration for Denim Performance came from a challenge - to improve the functionality of jeans for the modern consumer. Is Denim Performance FW13â€™s trend? Protection is the FW13 theme, represented in water resistant fabrics, reinforced pockets, and smart pocket solutions for mobile phone and passport. Denim Performance is Wranglerâ€™s proprietary design platform for men (the equivalent of Wrangler Denim Spa for women) and will continue in future seasons, with a new theme or chapter each time. Why Kimi Raikkonen for Wrangler Denim Performance? Formula One is the definition of high performance. Only 20 guys in the world race these cars. 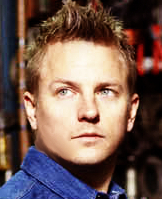 Kimi Raikkonen is a champion racer, one of the most consistent performers on the circuit, and a sublime driver. His world is adrenaline and personal skill underpinned by genius technology. Wrangler is the adrenaline-fuelled jeans brand, with an exceptional denim heritage built on innovation, while Denim Performance blends technology with a stylish aesthetic. Kimi Raikkonen for Wrangler Denim Performance is the perfect fit. What else is new for FW13? Greensboro is Wranglerâ€™s â€œnew standardâ€� jeans fit. Named after the brandâ€™s spiritual hometown in North Carolina, Greensboro is regular-slim in the leg and regular in the rise - with a higher back than front - to give a clean, contemporary look. Whatâ€™s the story with Wranglerâ€™s outerwear? Wrangler relaunches outerwear for FW13, investing in revitalized fabrics and details including waterproof finishes and special pockets. Traditionally, Wranglerâ€™s core goods have been â€œjeans, shirts, jacketsâ€�. This motif is embroidered or stamped inside every coat to emphasize Wranglerâ€™s commitment. The relaunched outerwear collection includes waterproof parkas, a wool peacoat, field jackets and reversible bombers. Functional and stylish, they look great with Wranglerâ€™s iconic jeans and check or chambray shirts. What are the icon pieces in the Denim Performance line? Greensboro jeans, Wranglerâ€™s â€œnew standardâ€� fit, with pocketing solutions for passport & phone in the water-resistant finish. The Full-Function Bomber: reversible, water-resistant, packs into a travel pillow and hides a special â€˜securityâ€™ pocket. The Explorer Storm Parka: fully waterproof all-weather jacket with real down lining, smart pocket for mobile phone, tablet, pocket and bottle-opener. Kimi will be very busy this week. I bet he has dropped the Moscow event, that isn't a real race, it is just a parade through the streets. I bet Grosjean or Valsechi can do it just as well. They must have had a heart attack when they saw Kimi's hair at Silverstone! Why are they dressing Kimi up in older mans clothes? He's a cool hip guy! But okay I guess we'll have to see more pictures now, just to be sure. 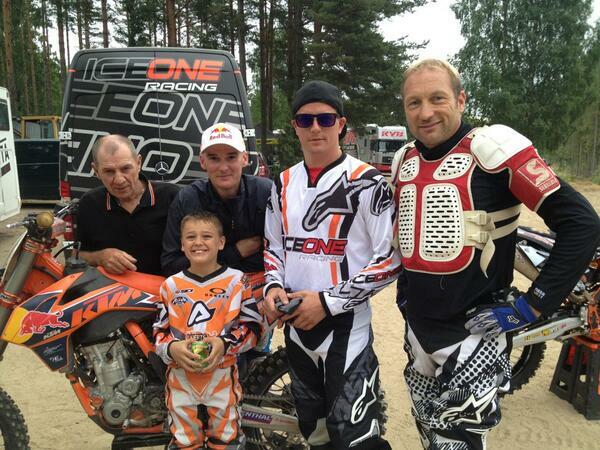 Kimi was today in HyvinkÃ¤Ã¤ motocross race with Paula mother, Rami and Riku Kuvaja. F1 star Kimi RÃ¤ikkÃ¶nen enjoyed the Sunday Motocross World championship in the atmosphere of HyvinkÃ¤Ã¤. The half-day pit area countries have arrived RÃ¤ikkÃ¶nen was also accompanied by her mother, Paula and Rami's brother. RÃ¤ikkÃ¶nen is closely connected with motocross, because he owns a championship rival ICE1RACING team. Sun cherished HyvinkÃ¤Ã¤ audience, and Raikkonen cheerfully sipping refreshments stables areas. He followed the entourage with the race in the grandstand. F1-magnitude was dressed in motocross stables T-shirt and shorts. Tyylilleen faithfully he held tightly cap and sunglasses on his head. - I wonder if this third-motocross race, which I am present in the mass of this year. Okay, this is cool hommaahan, Raikkonen said. He drives himself and then motorcross. - Maybe one of the four times I've tried it myself this year. The little boy RÃ¤ikkÃ¶nen brothers pÃ¤ristelivÃ¤t more of motocross bikes. - Well, yeah. Then just "chunky" came to my bike more, Kimi Raikkonen laughed. Bread of its kind F1 World Championship Raikkonen is the total score on the third, and speculation about his move to the Lotus garage for next season Red Bull are running high. Free On the day of Raikkonen did not want the F1 pattern to bother his head. - No bother to formulations for a chat, he said. Kimi RÃ¤ikkÃ¶nen, who follows motocross MX1 and MX2 class world championship races in Finland, HyvinkÃ¤Ã¤, got to see that being an F1 star doesnâ€™t always grant you special treatment. RÃ¤ikkÃ¶nen was following his own motocrossteam Ice1Racingâ€™s performances. RÃ¤ikkÃ¶nen, who arrived at the event around noon, was relaxed in the racing area. He had refreshments in the pit garage but also took the time to follow the actual race from the stand. At the same time RÃ¤ikkÃ¶nen got to see that being a F1 star doesnâ€™t always grant special treatment. When RÃ¤ikkÃ¶nen tried to get in the VIP premises he was sent away from the gate because he didnâ€™t have the VIP pass hanging around his neck. â€œKimi didnâ€™t have the pass, so I told him that he has no business to go inside. 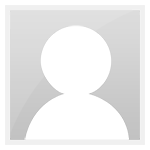 Here we look at the pass, not at the face,â€� said the doorman who turned back RÃ¤ikkÃ¶nen. According to him RÃ¤ikkÃ¶nen wasnâ€™t offended over it, he went back to get the required pass like a good boy. â€œKimi wasnâ€™t offended by that. When he came back with the VIP pass I wished him a good race. I guess that Kimi also wants to be treated in the same way as others are treated,â€� the doorman speculated. â€œBut the other watchers who sat nearby got a bit offended and came to say to me â€œdonâ€™t you know who you didnâ€™t let inâ€�,â€� he laughed. RÃ¤ikkÃ¶nen didnâ€™t want to comment on his own F1 plans. Vacating RÃ¤ikkÃ¶nen only wanted to concentrate on the actual motocross event. In RÃ¤ikkÃ¶nenâ€™s entourage was among others his mother Paula, brother Rami and PR manager Riku Kuvaja. The race in HyvinkÃ¤Ã¤ was also popular among regular watchers. According to the organizers about 8000 people came to watch the race. Kimi Raikkonen has confirmed that he will be in action at the eighth edition of the 'Everts & Friends Charity Race' weekend this coming Sunday (21 July). A unique motocross and cyclo-cross event, taking place on the Horensbergdam circuit in Genk, the 'Everts & Friends' spectacle raises money for youth and child charities, with Raikkonen listed as the special guest of the 2013 edition. The 2007 F1 world champion is not content with just being present in Belgium, however, with host â€“ and motocross legend - Stefan Everts confirming that the Finn will be taking to the track. "It is a unique opportunity for the spectators to meet Kimi in person but, moreover, he will be on a dirt bike and will join our 'Cyclo MX Race', teaming up with a Belgian cyclo-cross rider,â€� Everts confirmed, having recently spent a few days training with Raikkonen in Finland. Raikkonen, who owns the Ice One Racing MX Team, will also make a rare appearance up close with the fans, with ten-time world champion Everts confirming that he 'will also join our signing session - truly unique and a first for our country'. The event has already revealed a host of leading motocross stars as, besides world champions Antonio Cairoli and Jeffrey Herlings, almost the entire cream of the Belgian MX1 crop will be present, including Ken De Dycker, Kevin Strijbos, Jeremy Van Horebeek, Joel Roelants, Johan Boonen, Mike Verstraeten, Nick Triest and Danny Theybers. A Heart for Limburg (King Baudouin Foundation), Ter Heide, MediClowns, BKO-BLO Oosterlo, Bednet, De Markt and Weyerke are this year's nominated beneficiaries.